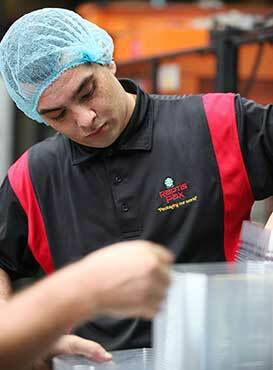 Here at Raptis Pax we are proud to employ a diverse and highly skilled workforce. We are an equal opportunity employer and our employees benefit from the professional and supportive working environment we provide. As producers of high quality food grade packaging, we adhere to strict hygiene and safety protocols regarding the manufacturing and handling of our products. Therefore, we are seeking potential employees who have experience in high-speed food processing, packaging, or pharmaceutical operations and possess a keen understanding of food safety - at either a shop floor or technical level. If you match this criteria, we would like to hear from you. Please fill out the form below to submit your resume into our potential candidate database. Apologies but only suitable candidates will be contacted.